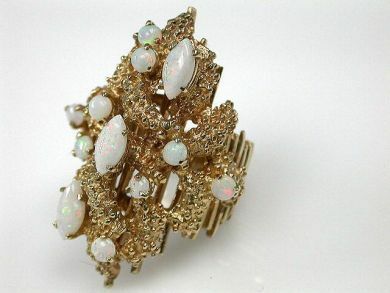 A beautiful vintage 14kt yellow gold nugget motif ring featuring 3 navette cabochon yellow green-reddish orange opals, est. 0.96ct and 9 round cabochon yellow green-reddish orange opals, est. 0.46ct.